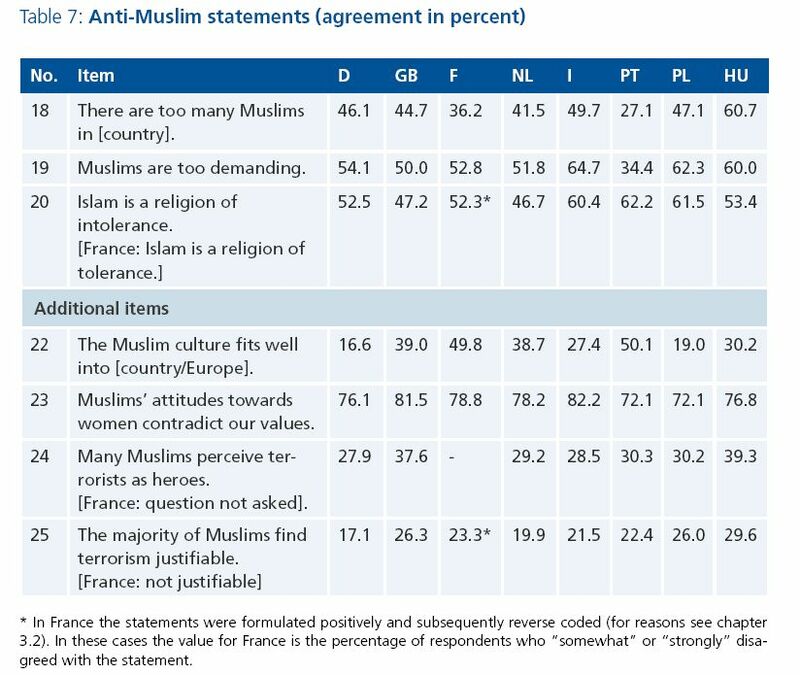 The Friedrich-Ebert-Foundation published a study on intolerance and prejudice in Europe. The study "Intolerance, Prejudice and Discrimination" is available in German and English. 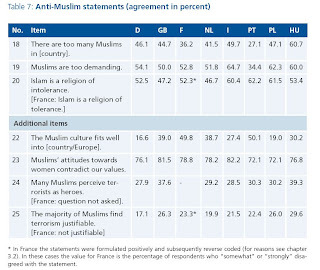 I bring below the section relating to Muslims.